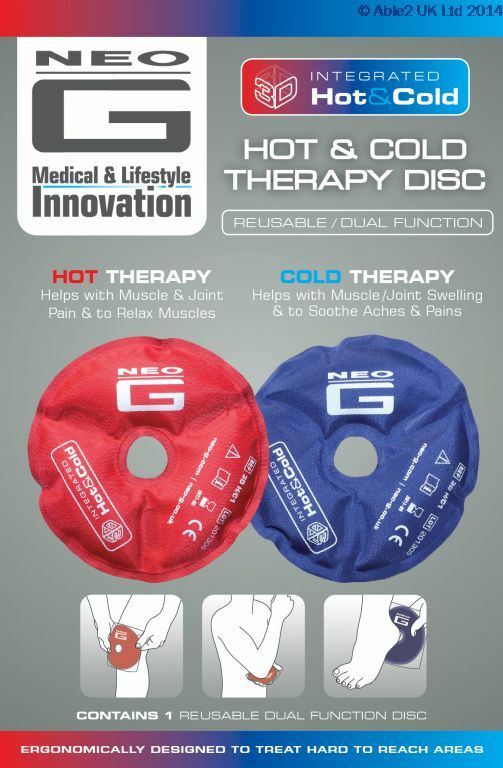 The Re-usable, Neo G Hot & Cold Therapy Disc remains malleable when frozen, providing up to 15 minutes of use in one session. 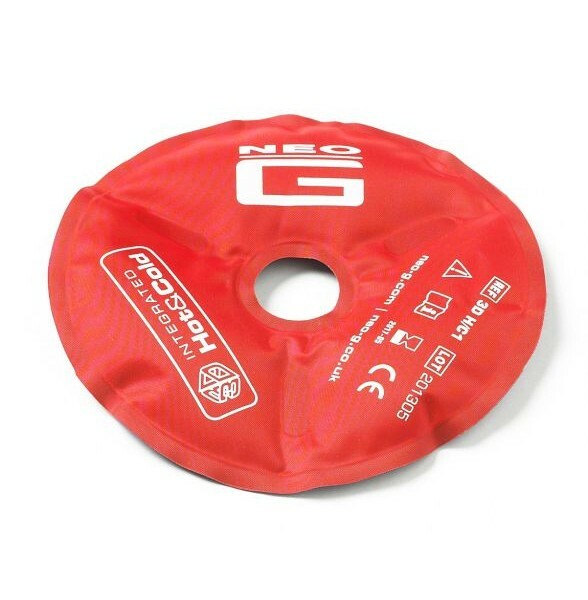 The flexible and ergonomically designed Disc is able to mould to hard to reach areas of the body, such as the kneecap, thumb, elbow, shoulder, heel, ankle etc. 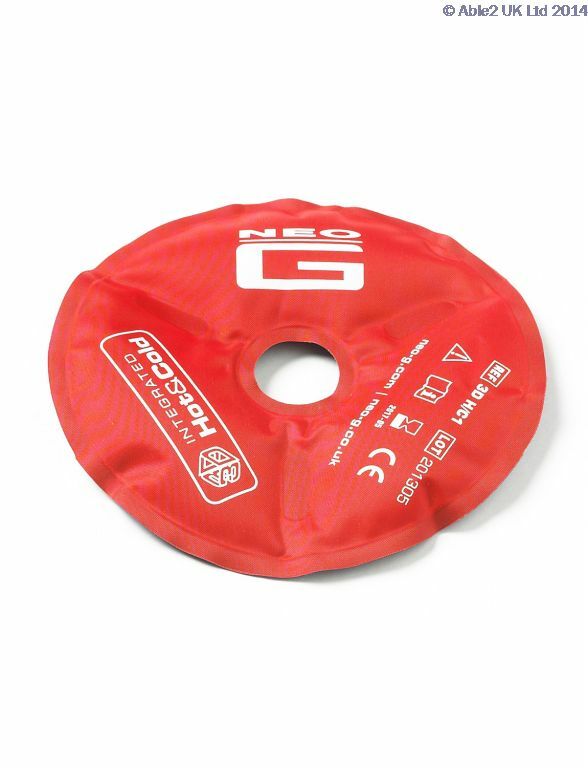 The Disc is also designed to be compatible with the Neo G range of orthopaedic supports, to maintain a constant and secure position on the affected area and controlled compression when required. 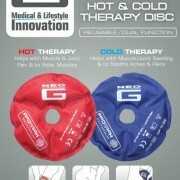 How To Use: Ensure Disc is at room temperature before heating or cooling. 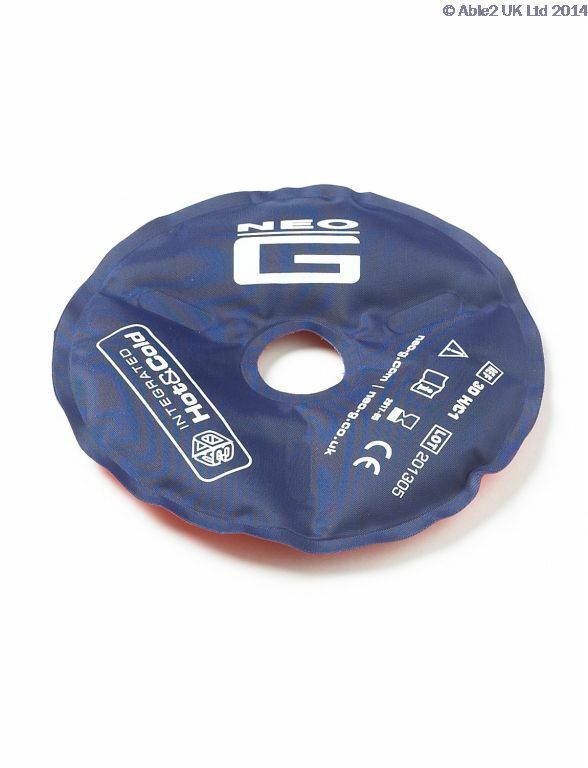 HOT WATER – Remove all packaging and place Disc in heat resistant bowl, cover entire Disc with approx. 1 litre of boiling water and leave immersed for 36 minutes. 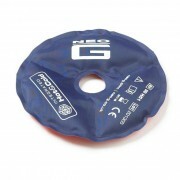 With caution, pour water from bowl, remove Disc, dry with a towel, place into protector sleeve and apply to affected area. FREEZE – Remove all packaging. Place Disc in freezer for approximately 90 minutes. 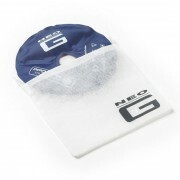 Remove Disc from freezer with caution, place into protector sleeve and apply to affected area. Apply Hot or Cold therapy for as long as comfortable, but for no more than 10 15 minutes at a time. 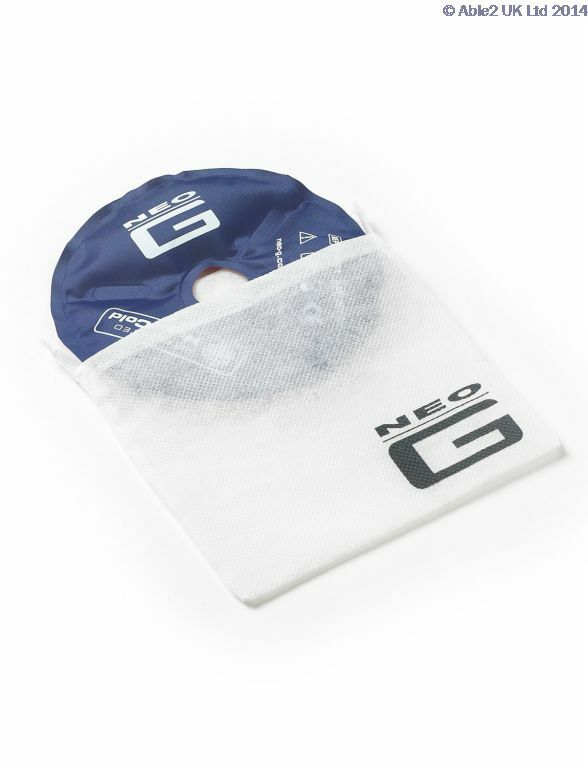 If using alongside a Neo G support, apply loosely and ensure compression is not too tight.